MADISON, WI—The holidays evoke images of carolers and hot cocoa, sleigh rides through the crisp country air, and chestnuts roasting on an open fire. But for the four residents of a drafty little apartment on Johnson Street, such holiday traditions seemed nothing more than fairy tales. For, through a combination of poverty, circumstance, and plain old bad luck, these young gentlemen nearly saw their holiday dreams shattered like so many fallen ornaments. Almost, but not quite. For although there would be no Yule log in the fireplace, a crackling blaze of another kind would come to warm the hearts of the hapless roommates. 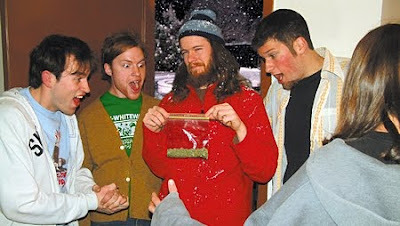 For, these four lucky friends had a guardian angel watching over them, and this is the heartwarming true story of how the weed delivery guy saved Christmas. "Dude, I was so bummed when I found out my stupid supervisor scheduled me for first shift Christmas Eve," said Patrick Moynihan, 26, a "part-time musician and full-time phone drone." 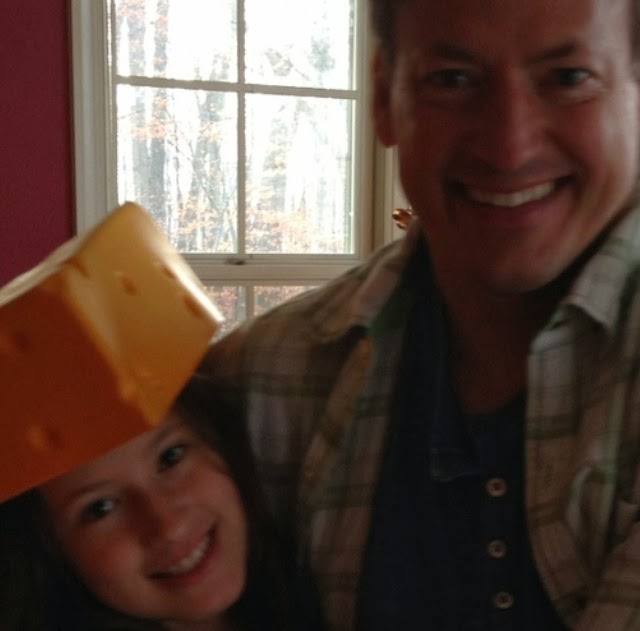 "I was like, 'Come on, I gotta go to Milwaukee to see my old man and watch the game.' He was like, 'Sorry man, life's rough. You should've remembered to ask off.'" "It's not like Milwaukee's so great," Moynihan added, "but it beats spending Christmas alone in my sh*thole apartment." But, in a turn of events Moynihan described as "X-Files-type sh*t," each of his remaining roommates—first Dirk, then Kleist, and finally even White Jimmy—watched their Christmas plans come undone, leaving the four housemates together in Madison on the night before Christmas. "I was supposed to go home with this chick and meet her parents," said Dirk Udell, 24, a part-time bicycle-store clerk and bassist. "But we totally got into this huge fight the night before, and she was like, 'Sayonara, sweetheart.' Then Kleist got wasted and slept through his flight, and White Jimmy's credit card got turned down at the bus station, because he maxed it out on that amp he bought." Individual heartbreak turned into collective joy when the roommates realized that they could have their own Christmas... together. "We said, 'F*ck it,'" James "White Jimmy" Gaines said. "We were like, 'We have all the ingredients for old-time holiday cheer right here: some brews, the tube, and the Chinese place across the street that never closes on holidays.' We even cleaned the living room and washed the dishes. Then fate threw a monkey wrench." "Dudes, it's a no go," Kleist said before delivering the bad news. "Carl totally flaked on us. He left for Michigan already." 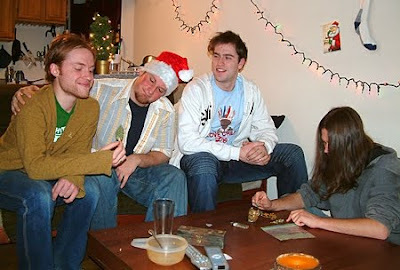 The roommates' faces turned ashen: There would be no Christmas weed. "I was, like, 'No way, man!'" Moynihan said. "Kleist even called all our friends, trying to find someone who was holding, but everyone was out of town. We tried to drum up some Christmas cheer, but there was no escaping the sad reality that the four of us had all this time to hang out, but no pot." Disconsolate, the roommates went through the motions of scraping the bowl for resin. But, in their hearts, they knew that it wasn't enough to get them high. Peering out of the fourth-floor window, gazing at the municipal streetlight decorations below, they felt that Christmas had deserted them... Or had it? "That's when Jimmy—I think it was Jimmy. It could've been Kleist—wait, was it Jimmy or Kleist?" Moynihan said. "Aw, never mind—whoever it was looked up and said, 'Hey Dirk, why don't we try the number that that guy who worked at Big Mike's Subs gave you?'" After searching high and low with the help of his three determined roommates, Udell located the piece of paper containing the phone number given to him by his old stoner buddy Javier. "Javier told me he hardly knows the dealer, but the guy always has really great sh*t and he comes right over," Udell said. "Kleist was all like, 'Who in their right mind is gonna be out delivering weed on Christmas Eve?' But I was like, 'What would it hurt to give the number a try?'" "We were so psyched when he answered his cell on the second ring!" Udell added. The roommates busily prepared for the weed guy's arrival by laying out Chips Ahoy cookies on paper plates, loading disks into the CD changer, and lovingly placing a new screen in the bong. All the while, they listened for the crunch-crunch-crunch of his footsteps on the snowy walk and the jingle-jangle-jingle of the Apt. 4-D buzzer. They even put the porch light on for the dude, so he'd feel welcome. And when, in less than an hour, the weed delivery guy showed up bearing a gift more precious than gold, the roommates' hearts soared with joy. "That stranger brought us something so much better than any store-bought gift," Moynihan said. "I don't know his name—it's considered bad form to ask—but he taught us that Christmas wishes can come true, if you believe." And so it was that the weed delivery guy—hardworking, dedicated, and discreet—saved Christmas in the nick of time. "We may not have had a big tree and all that," Moynihan said. "And there wasn't eggnog dusted with nutmeg, 'cause the only time we ever had any nutmeg in the house was the time we tried to trip on it. Not recommended, by the way. But we had a happy Christmas all the same." It wasn't long before all through the house, not a creature was stirring up off the couch. The boys opened the baggie and packed a bowl with delight, murmuring, "Happy Christmas, weed delivery guy. You did us one right."